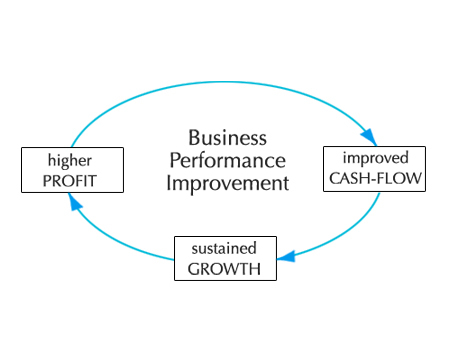 Our Implementation oriented cross-functional management consulting makes tremendous impact on overall Business Performance Improvement (BPI) resulting in higher Profit, improved Cash Flow and sustained Growth. 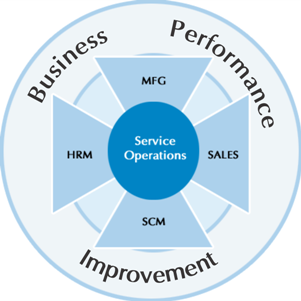 Even though actions and results of our consulting engagement may, in the short term and/or in specific context, manifest in just a part of one or more functional areas namely – MFG (Manufacturing), SALES, SCM (Supply Chain Management), HRM (Human Resource Management), SERV (Service Operations), yet our consulting effort is always aligned with the end objective of overall Business Performance Improvement spanning across all functions. We use Financial Analysis and Costing & Management Accounting, not only across all stages of consulting engagement (diagnosis, critical examination, review, evaluating alternatives and choosing preferred solution), but more importantly to Measure, Monitor & Control Performance by developing & implementing multi-level Management Reporting System using available Information Technologies. For most assignments we review, understand and extensively leverage the Technological assets, infrastructure & capabilities including IT hardware, software & networks available with the client organization. It often leads to our recommending deployment of more appropriate, efficient and cost effective technological solutions.